2018 FALL CONFERENCE SAVE THE DATE! Contact Kristen Hrusch for more information and to register! 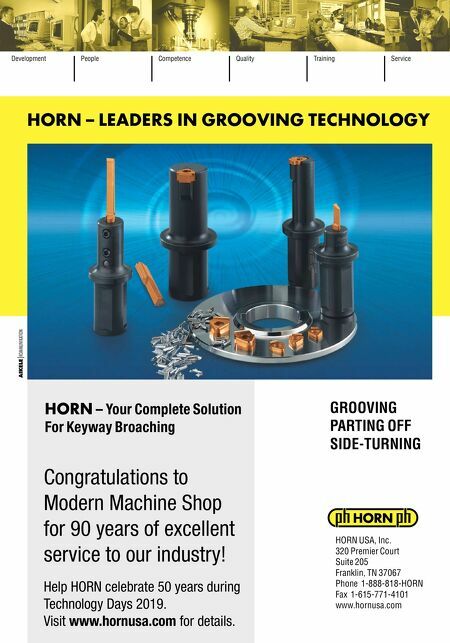 Khrusch@ntma.org . 216-264-2845 October 23 - 26, 2018 Grand Hyatt Denver - Denver, CO Why Attend? 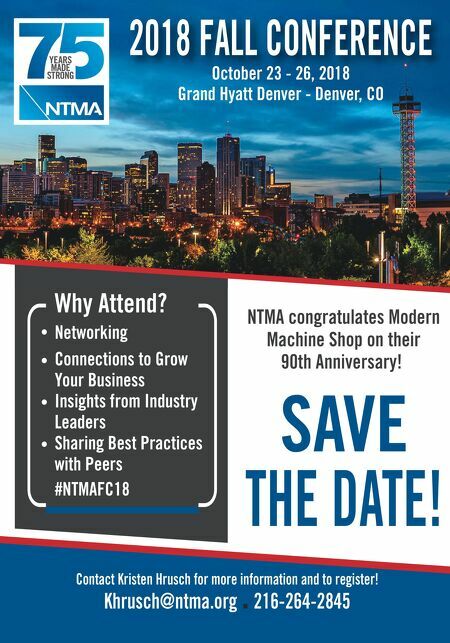 Networking Connections to Grow Your Business Insights from Industry Leaders Sharing Best Practices with Peers #NTMAFC18 NTMA congratulates Modern Machine Shop on their 90th Anniversary!